Although transgender people are increasingly represented in academic studies and popular culture, they rarely have the opportunity to add their own voices to the conversation. In this remarkable book, Jackson Shultz records the stories of more than thirty Americans who identify as transgender. They range in age from fifteen to seventy-two; come from twenty-five different states and a wide array of racial, religious, and socioeconomic backgrounds; and identify across a vast spectrum of genders and sexualities. Giving voice to a diverse group of individuals, the book raises questions about gender, acceptance, and unconditional love. From historical descriptions of activism to personal stories of discrimination, love, and community, these touching accounts of gender transition shed light on the uncharted territories that lie beyond the gender binary. Despite encounters with familial rejection, drug addiction, and medical malpractice, each account is imbued with optimism and humor, providing a thoughtful look at the daily joys and struggles of transgender life. 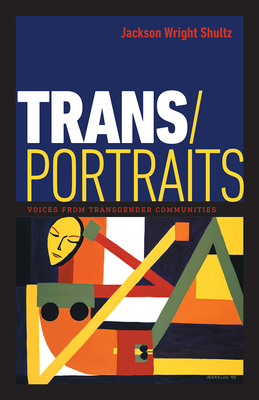 With an introduction and explanations from the author, this work will appeal to transgender individuals, their significant others, friends, family, and allies; health-care providers, educators, and legal professionals; and anyone questioning their own gender, considering transition, or setting out on their own transition journey. JACKSON WRIGHT SHULTZ is a scholar and activist. He has written and lectured on marginalized communities, men’s role in sexual assault prevention, pedagogy, representations of transmasculinities, and queer theory.